Air Canada began warning customers over the weekend of a possible strike, saying that although talks continue, it does have a contingency plan in place and will continue to operate its full schedule. The Canadian Auto Workers union, which represents the airline's call center and airport check-in and gate agents in Canada, told the airline on Friday that it intends to start labor action on Tuesday, June 14. In the event of a strike, Air Canada will continue to operate a full schedule and all bookings will be honored. Management has been trained to work at the airports that would be affected. But personnel will be limited so their priority will be to attend to customers with special requirements. Air Canada said it recognizes the situation may cause uncertainty for its customers and thanks them in advance for their patience and understanding. 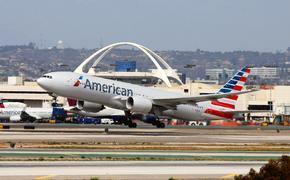 Because of high call volume and longer wait times, the airline was advising customers to use its website. Meanwhile, on Monday afternoon, the union said that some progress had been made on some issues but there was a long way to go on other issues. For more information, visit www.aircanada.com.